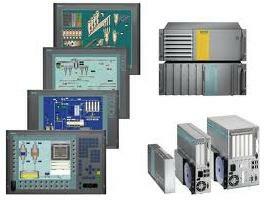 Over the years, industrial automation has changed the way industries manufacture their products. Industrial automation is an expansive area of embedded computing devoted to industrial applications, including a range of end products from network communications to physical control, all of which are necessary for the successful automation of production processes. Technological advancements in process monitoring, control and industrial automation over the past decades have contributed greatly to improve the productivity of virtually all manufacturing industries throughout the world. Our Industrial Instrumentation and Process Control team offers design solutions for companies that design and manufacturer process control equipments. We are capable of onsite and offsite design, repair and maintenance. We have assisted companies design data process cards with various sensor integration options. CoiNel provides you a wide range of design services for measurement, automation and information solutions to help you reduce integration costs and risks, improve operational efficiency, improve maintenance efficiency, and optimize plant assets. Companies looking at industrial automation to increase the efficiency, productivity, and flexibility of the production lines understand the role of embedded technologies in achieving these goals. With a history in complete product solutions in areas of the Servo Motor Validation process and control, DAS Boards and SCADA, CoiNel has a rich experience in assisting Industrial automation companies develop systems as per their custom requirements. Partnering with CoiNel enables customers to utilize our design experience to develop and test products required for automation industry resulting in a significant reduction in development and recurring manpower costs. Utilize our in depth expertise in embedded development domains acquired through various customer engagements on Data Process and Control. Utilise indepth processor expertise for ARM core, GUI design and Operating system support. Our engineers can adapt themselves as per your design requirements and provide you best possible design solutions and assistance.